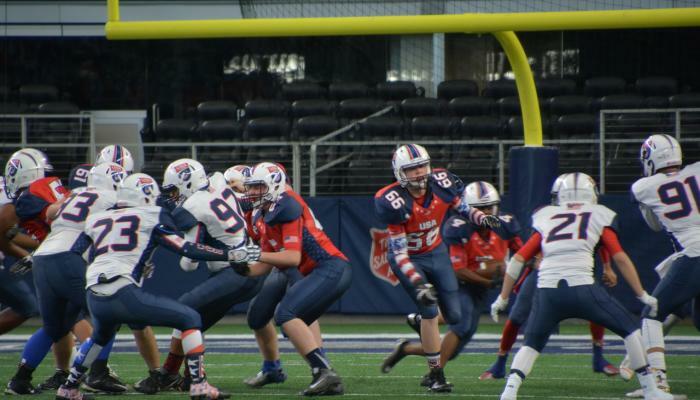 USA Football, the governing body for American football will be hosting its International Bowl on January 16 and 17th here in Arlington at the Dallas Cowboys Stadium! The two-day event will consist of games played by the best and brightest players in the country. These athletes are not only outstanding performers on the field, but also embody traits such as leadership, character and dedication to the sport. The 2017 teams are comprised of elite athletes that have gone through USA Football’s National Teams program. Many athletes who have competed in the International Bowl have gone on to play professionally including Josh Huff (Philadelphia Eagles), Tyrann Matheiu (Arizona Cardinals), and Jameis Winston (Tampa Bay Buccaneers). From here, players are selected to represent the U.S. and compete against other countries’ national teams. The 2017 competition will be played against Team Canada and Team Japan. The only question now is where do you get your tickets? Visitwww.internationbowl.com and make it your resolution to attend the biggest event in high school football this year!